If you've heard of Bonaire, you've heard of Bonaire shore diving. It is their claim to fame. And rightly so. You really can't beat the freedom of scuba diving in Bonaire. Pick your dive site. Pick your departure time. Drive to the dive site. Plan your dive profile. Gear up. Dive. Repeat. How great is that? Sure beats the heck out of waiting for divers to board the boat, having your dive cut short because another diver blows through their air, going back to a dive site you didn't like, etc. Not to mention the quality and quantity of Bonaire shore diving sites. There are lots to choose from and there really isn't a bad one among them. Just get in the water and dive. We had a great time scuba diving in Bonaire and, of course, we did lots of shore diving. 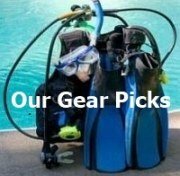 Here are some tips we have that could make your Bonaire shore diving trips a bit easier. 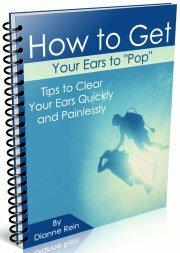 Hope they help you on that scuba dive vacation. If you have something to add to the list, please let us know. We want to build the best free resource for divers, so don't hesitate to contact us. Unless you have feet of steel, you will need scuba booties for Bonaire shore diving. The shore is rocky and some of the formations are very sharp. A hard sole bootie is best, but soft soles will work. I usually use full foot fins, but I bought some booties and open heeled fins for this trip. My husband, who also uses full foot fins, decided to buy water shoes to get in the water and then put the water shoes in his pocket after he put his fins on. It worked for him but it can be a bit of a hassle. Whatever works for you. We referred to these 2 publications constantly as we planned our days of shore diving in Bonaire. 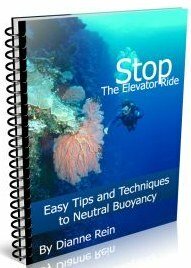 The first is called "Bonaire Shore Diving" and is available free in the Bonaire airport. You will see racks of info, including this publication, next to the wall where you claim your luggage. It has a map of all the dive sites as well as a short description of each site. It works really well in conjunction with the next publication. The next book which we found indispensable is "Bonaire Shore Diving Made Easy" by Susan Porter. The price is $26.95 including s/h and is well worth the money. 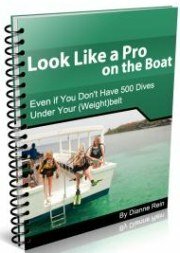 Dive shops in Bonaire also sell this book. However, you can't be certain it will be available when you arrive, so you might want to buy one before you leave just to be safe. The one drawback is that it only has a map of the most southern dive sites. The other pamphlet I mentioned above (Bonaire Shore Diving) has a complete map of all the dive sites so you'll have everything covered for your shore diving Bonaire. Before you gear up, put on your booties and look for the best entry and exit point. The books above will help with this. Some dive sites have easier entries than others but obviously all are doable. Find the clearest/easiest path you can before you don your gear. Make sure you have your air turned on and nothing dangling from your setup. You don't want that octopus or regulator dragging through the sand. Also make sure your tank is secure so it doesn't slip off while you are walking to the water. 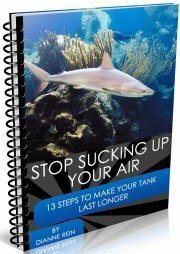 When you go to enter the water, put some air in your BC and carry your fins. If the water is particularly rough, you should also have your regulator in your mouth. If you go sideways, you have a smaller target for the waves so it may be easier to enter that way. You want to get past the surf zone as soon as possible. Don't underestimate the power of waves, even those that are knee high or less. And never turn your back to the waves. Walk slowly and look for obstructions. Once in the water I usually go to around chest high water or so to put on my fins. I find it the easiest at this depth. We found these to be an excellent vehicle for Bonaire shore diving. You can easily throw your tanks and gear in the back and get going. No worries about all that wet stuff in your car or van. The tailgate also served as a perfect seat while putting your scuba gear on and off. Also, since some of the short "roads" to the shore diving sites can be rough, the pickup handled it perfectly. 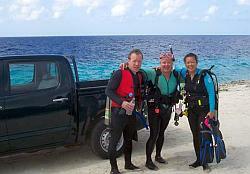 You will also appreciate having a pickup if you go diving in Bonaire's Washington Slagbaai National Park. The roads in the park are dirt and very rough in spots. You don't want a car here. Who wants to drink warm/hot water after their dive? Bonaire can get very hot and if you have water sitting in the truck while you are diving, that water will be warm, at best, when you get back. What we found worked perfectly was to freeze some bottles of water and leave them in the back of the pickup truck while we did our dive. By the time we finished the dive, the water was mostly melted and nice and cold. Worked like a charm. We also had a small cheap cooler in the backseat we kept water bottles in for dive #2. This way they were still frozen when we started dive #2; we then put them in the back of the pickup when we went in the water and they were ready when we got out. I always like to at least rinse off my face with fresh water when I finish a dive. This is how we managed it while doing our Bonaire shore diving. We would take an empty 2 liter bottle of soda and fill it with water. We would keep it in the backseat of the pickup truck while we were diving. By the time we were done, we had nice, warm water to rinse off with. A word of warning: don't leave the bottle in the back of the pickup truck or the water will be TOO hot. We speak from experience here. You read quite a bit about things being stolen from cars while people are scuba diving in Bonaire. Luckily, we had no problems. In addition, we didn't hear of any incidents from other divers during the 9 days we were there. I do recommend that you keep your windows down (unless rain is expected of course) and doors unlocked. That way there will be no broken windows and it will tell people there is really nothing of value to take. Don't take anything you would mind losing. Just in case you are unlucky and someone takes your stuff. We took old flip-flops and sunglasses and kept the good ones at the condo. If someone wants my $2 flip-flops, be my guest. When planning your Bonaire shore diving for the day, remember that the road up north turns into a one-way street (if I remember correctly, it is after Witches Hut). For instance, if you want to dive Karpata (which is the dive site furthest north before you get into Washington Slagbaai Park), pick a dive site further south for your first dive and then do Karpata second. That way you won't have to circle back around to get to your other dive site (probably a 20 or so minute drive). Every diver on Bonaire is required to purchase a Bonaire Marine Park tag ($25 for a yearly pass/$10 for a single day pass). 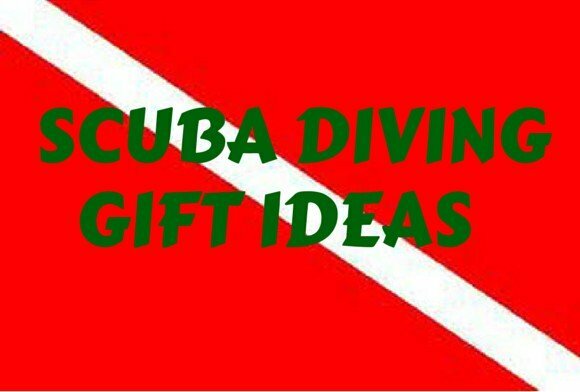 Keep it attached to your BC so you have it on every dive. The marine park police did come while we were doing one of our shore dives and checked that we had the tags. They then ask you a couple of questions and then they are on their way. No big deal - but have your tag. When you first descend and hit the reef, look around for an unusual formation to mark your exit point when you return. You can usually find some coral formation, unusual sponge or some other object that you will recognize. Many sites also have a buoy marker to mark the dive site. If you are shallow enough and in close enough, that is also a possibility for an exit marker. If you are not sure where your exit point is, you can alway ascend slowly after your safety stop and take a quick look around. You are not very far from shore (or shouldn't be!) so it is no big deal. This (and the next tip) are just basic scuba diving safety rules but I think are worth repeating here. You have total freedom while doing Bonaire shore diving so you are responsible for yourself (and your buddy of course). 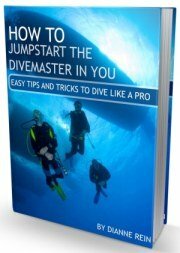 Before you dive, talk over your dive plan, signals, etc. with your group. And then stick to the plan! Like the tip above, it just bears repeating here. 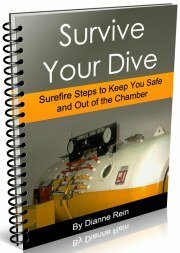 If the conditions don't look like something you are comfortable with, just call the dive. Also, if once you get underwater the conditions are beyond someone's ability or comfort level (i.e., strong current), abort the dive. While scuba diving in Bonaire is wonderful, it's not worth an accident. We hope you find these Bonaire shore diving tips useful. Let us know if you have anything to add. 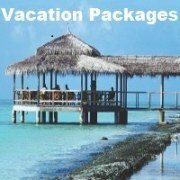 Have a great trip and enjoy the great scuba diving in Bonaire!